Well hello and happy spring green to you! Are ya’ll looking to try something new in this beautiful season? Let it be this project. My girlfriends and I meet on the semi-regular to work on creative projects together. We lovingly call this Craft Night. Could we not come up with a more creative name? Go figure. I think Amy and Deb would both be surprised to realize that it’s been about 10 YEARS since we started this thang! I don’t recall how it all began. I think we all just wanted to make more time to be creative and to work on “our projects”. We knew to really make that happen, we would actually need to schedule it on the calendar and into our busy lives. Over the years we’ve worked on different projects, in different places, at each one of our houses, indoors, outdoors, all while working around children, family, and work schedules. There is usually wine, always food, and lots of conversation too. Sometimes we inspire each other to try new creative endeavors, other times we just encourage each other along our own paths. It’s wonderful to get advice and bounce ideas off one another. Projects may not always get finished that night, but the gathering is always good for the soul. On this beautiful spring day, Amy has chosen a project for us. And it’s a good one! 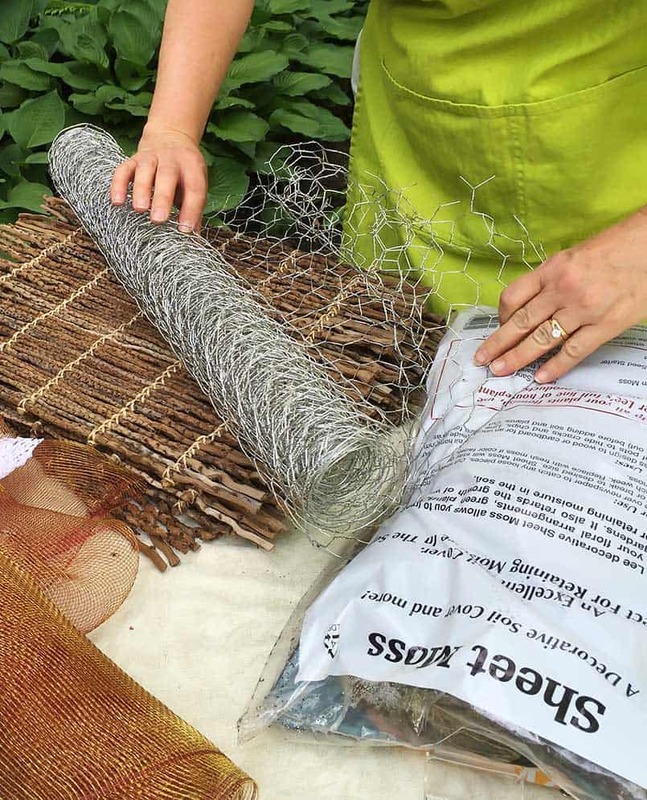 She bought all of the materials and also offered up her beautiful backyard as a workspace. Believe it or not, it’s even a gorgeous spring day in Minnesota. Yay us! Today we are making easy succulent garden planters. 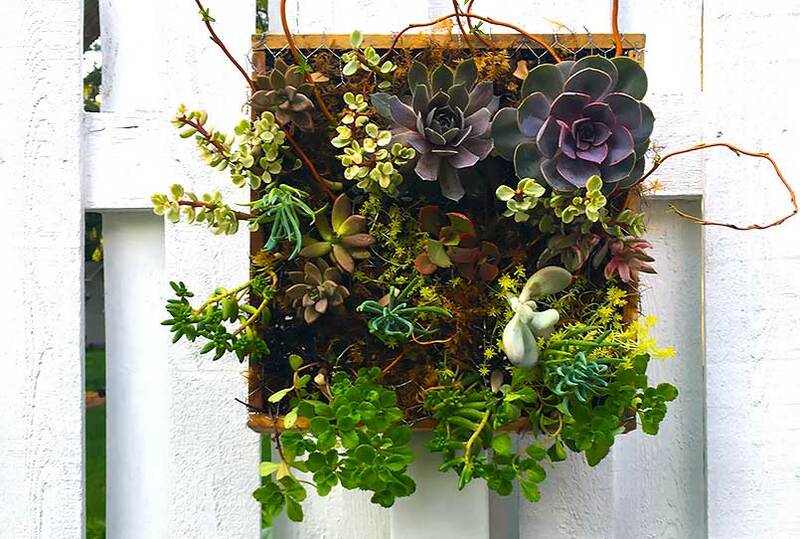 Your very own portable garden that you can hang indoors or out. This project is super simple and very enjoyable to build and plant anyway you like. You really can’t mess this up because succulent plants are just so darn sweet and beautiful. Amy also brought some unique vines and sticks to include in our planter masterpieces. The whole project would have taken less than an hour if we would have worked without talking. But that never happens. 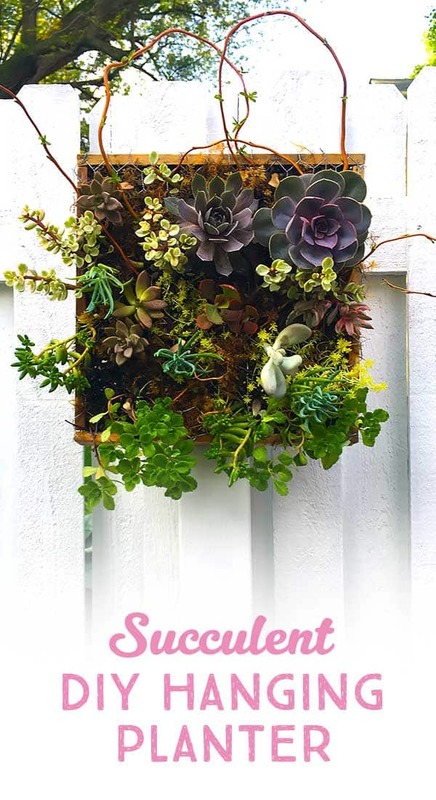 A succulent garden planter is affordable too. 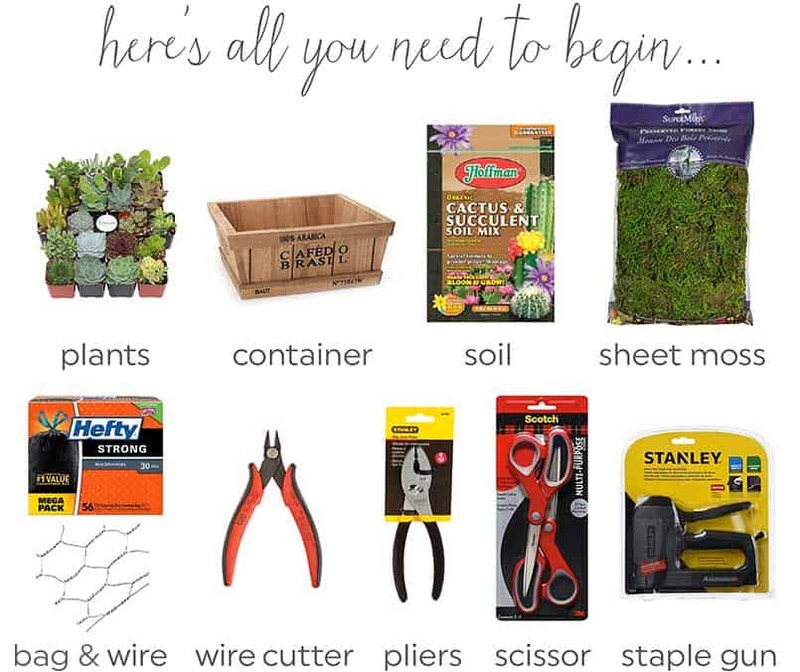 Amy purchased the plants and materials at Home Depot. She received these containers from a friend (Whole Foods Catering boxes), but you can use any type of shallow container. Look around the house, check at Goodwill or at your local resale shop for yours. Be creative on your search, that is part of the fun! Succulents are a group of plants that store water and nutrients in their leaves. While they do need water to survive, they can endure extended periods of drought better than most plants because they rely on this energy. They grow best in bright light but do not always like hot sun. Succulents usually thrive in dry climates and don’t do as well in humidity. There are many different types, in an abundant assortment of shapes, sizes, colors, and textures. One of the amazing qualities of succulents is their ability to propagate easily. Many can grow new plants from leaves that fall off. Others develop new pups as they grow larger. 1 Line your container with plastic. Heavy duty garbage bags work great! Trim the plastic so the edges are flush with container rim. 2 Fill the container with soil. 3 Place a layer of sheet moss loosely over the planter. so the edges to secure. If you don’t intend to hang the planter, you can skip this step. 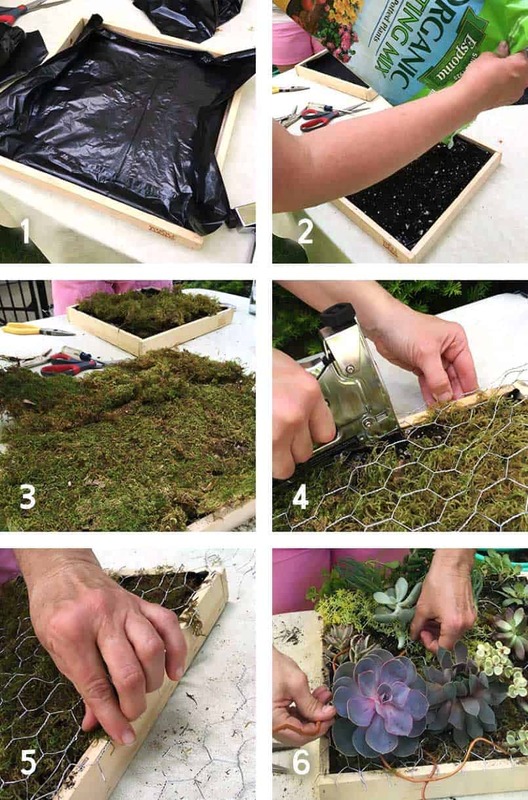 5 Carefully fold the chicken wire edges down and around the edge of the planter with pliers or your fingers. This will make the edges look cleaner and also protect you from the wire’s sharp edges. Get artsy and play around with the wonderful combinations of color and texture. These plants are very easy to grow. Find a convenient place where you are able to water your succulent garden regularly. A kitchen sink, laundry tub, or a yard may work great. Allow water to drain completely through the soil to avoid root rot. Water again when the soil is completely dry from the previous watering. 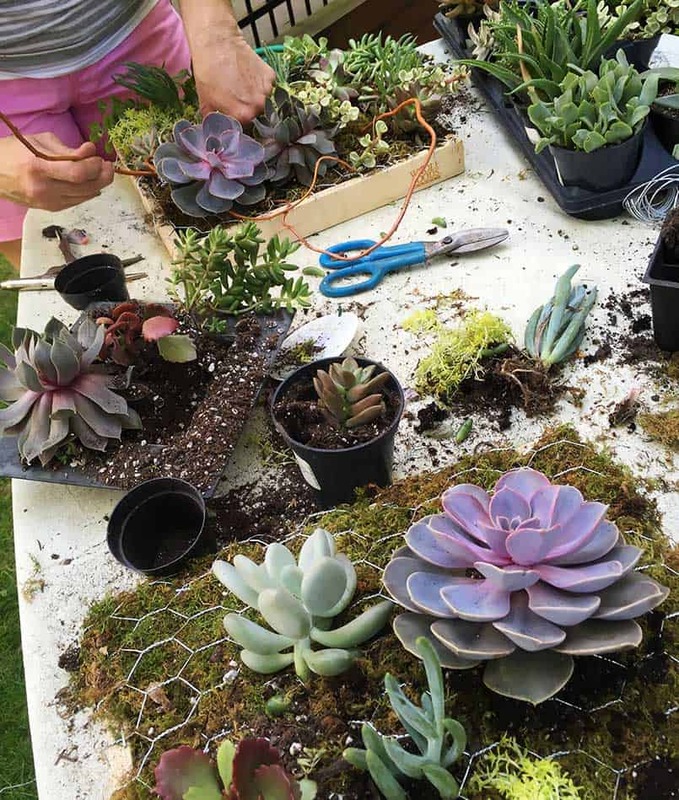 Expose your succulents to a reasonable amount of sun, shade, and mild temperatures. You may want to try using succulent fertilizer. It is inexpensive and provides the nutrients your plants need to stay healthy. Like any plant, succulents need room to grow. You may need to repot them if your garden planter grows and becomes overcrowded. Repotting will help the plants live a long, happy life. Trust me. 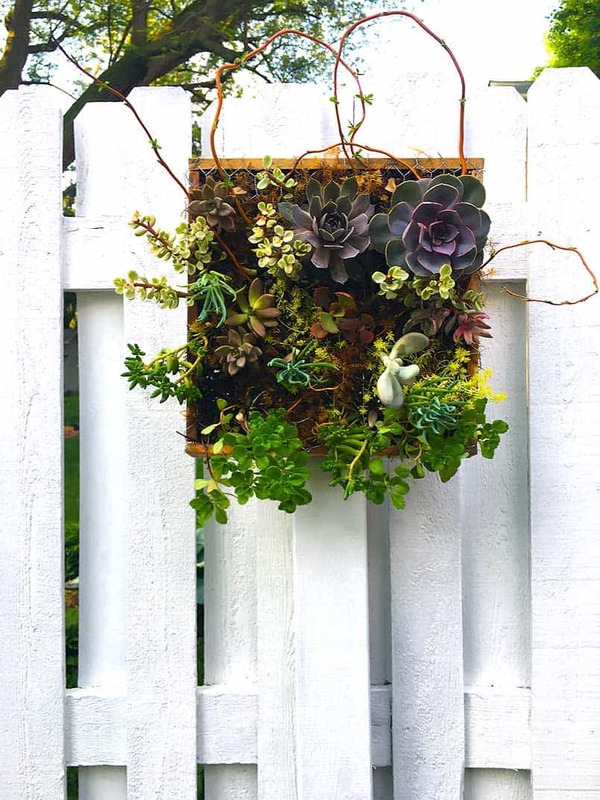 This planter project is truly enjoyable, beautiful and easy peasy! Give it a try yourself, or even better grab a few girlfriends and have a planting party! * Some products contain affiliate links. See the shop page for more information.